Have you considered the benefits of hiring young people? It can lead to improvements in everything from performance and productivity to growth, innovation and morale. 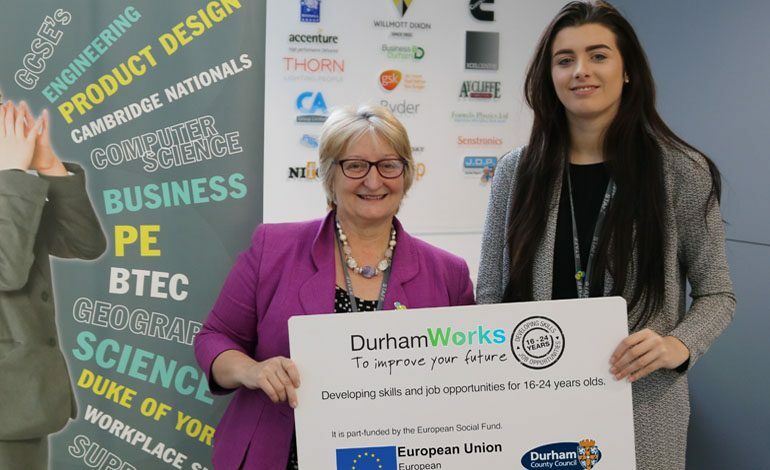 The DurhamWorks project helps unemployed 16-24 years old living in County Durham into jobs, training or education and hundreds of businesses have benefited from their support to recruit young people. DurhamWorks’ six business advisors work across all areas of County Durham offering a free, tailored package of support including help to manage the recruitment process, pre-screening candidates, HR advice, in-work support and staff training. Bespoke training can be arranged for DurhamWorks young people to ensure they have the skills required to thrive in your business. There is also scope for employers to access funding to support with the costs of taking on a young person, including uniforms, equipment and training. 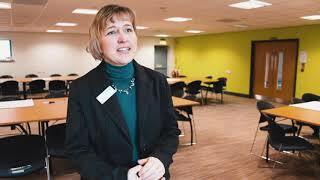 UTC South Durham needed extra business administration support to help them grow. As an education provider, employing an apprentice seemed a logical choice and DurhamWorks helped them to source suitable candidates. UTC South Durham opened in Newton Aycliffe in September 2016 as a University Technical College preparing 14-19-year-olds for a career in the advanced manufacturing sector. As a busy, growing college, UTC were looking to employ a Business Administrator and felt it made sense to employ an apprentice to work in their educational environment. Staff at the college had positive experiences of working with apprentices in the past, so when UTC’s Business Engagement Manager, Catherine, met DurhamWorks Business Advisor, Lynne, at a networking event they were keen to get involved. Lynne selected a shortlist of appropriate candidates who met the job specification written by UTC, including successful candidate, Naomi, and also helped them to apply for funding which they used to pay some of her salary. UTC business manager Jean Bell, pictured above with Naomi, said: “The process was easy, very quick and efficient. We’d definitely use DurhamWorks again. “Naomi’s very mature and takes every opportunity to learn. She quickly became a much valued and respected member of our team. Naomi has created extra capacity in the college’s admin team and being of an age with the students, has a great relationship with both them and the other staff. Existing staff are not only supporting Naomi in her role, but learning from her too. Naomi’s been able to teach the team more about social media and they’re finding it really useful to be able to see things from a young person’s point of view. If you’re interested in employing a young person to help your business grow and learn, contact us to find out how DurhamWorks can help. For more information visit www.durhamworks.info/employers or call today on 03000 262 930.